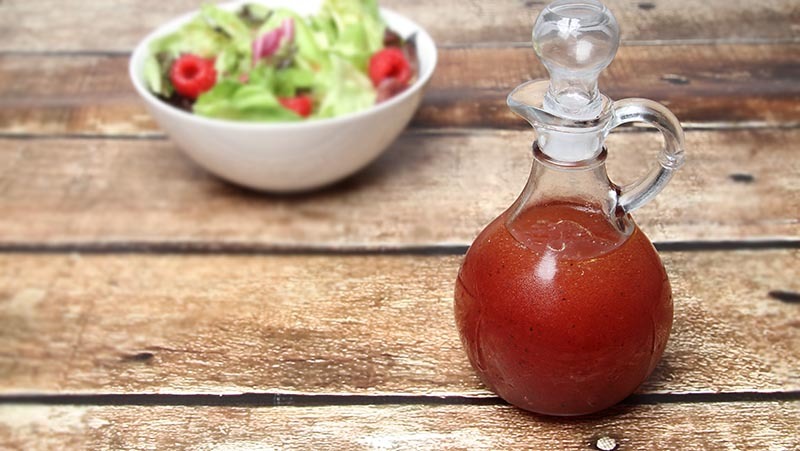 Gluten-Free, No Sugar Added Raspberry Vinaigrette Dressing is light and fresh and always puts a smile on my face. In the summer time, I use fresh berries compliments of my neighbor's garden. I am not willing to pay the price for fresh berries shipped in from who knows where in the winter, so I buy the frozen, organic raspberries from my local grocery store. Place raspberries in a medium sized bowl and crush them with a fork. Whisk in all remaining ingredients and blend well. Cover the vinaigrette and chill in the refrigerator. Whisk again just before serving. As with all of my recipes, if you require a Paleo option, substitute finely granulated coconut sugar or honey for the Swerve.